gotten a little warmer, a little wetter. mice, it’s changed the mice themselves. from their eyes to their noses. And he compared mice from before and after 1950. Lo and behold, these mice had grown: by more than 10% on some measures. The next step is to figure out why. “One of the questions is, well, why didn’t anybody notice this before? birds or bugs or plants? teach us – when we ask the right kinds of questions. out of a tree… or worse, you hit an animal with your car. There are hotlines like these set up all over the country. There are bunny hotlines, woodchuck hotlines… you name it and there’s a volunteer hotline for it. The woman who answers the Possum Hotline is Patti Roman. She volunteers in Michigan. She has a basement full of baby possums. She says possums get hit by cars a lot. They love to eat roadkill, and they’ll just sit there in the middle of the road, staring at your headlights. 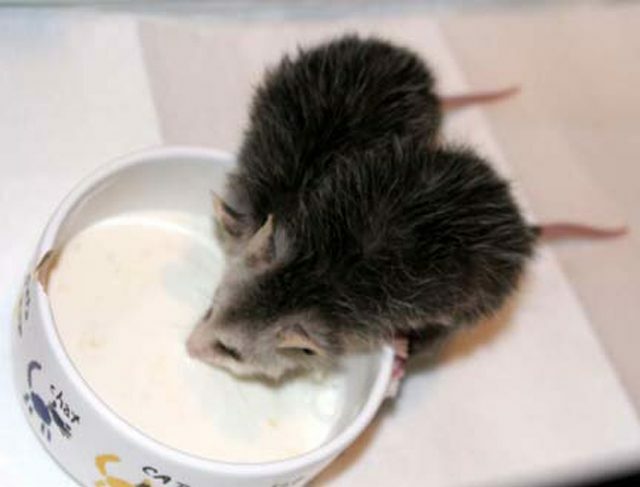 Possums are marsupials like kangaroos. Except they don’t hop out of the way. They keep their babies in their pouches. When a mom gets hit, a lot of times the babies will survive. Someone will find the babies and call the Possum Hotline. 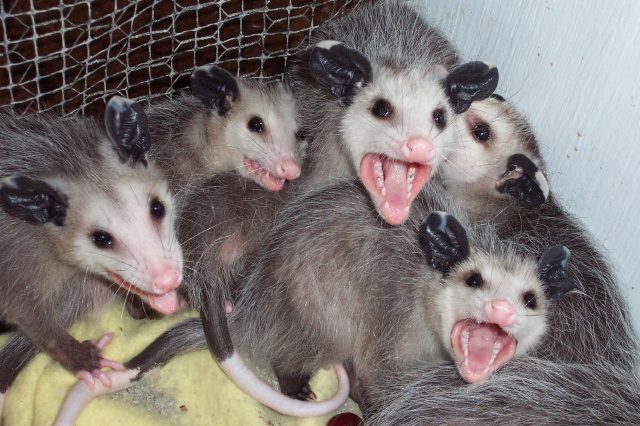 Patti Roman says she’s had up to a hundred baby possums in her basement at one time. She puts gloves on before she pulls a possum out of its terrarium. 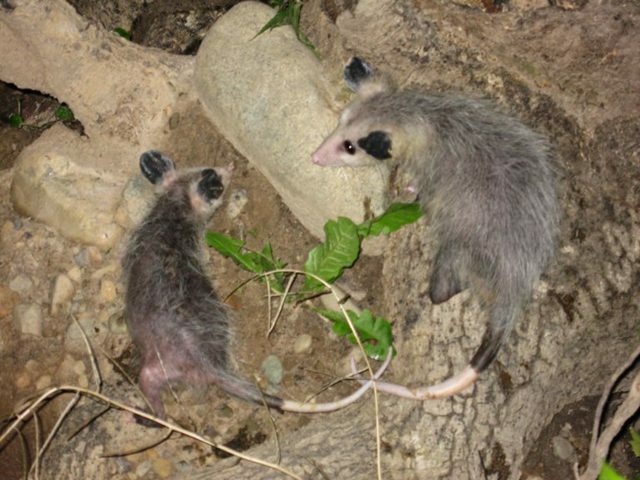 I don’t know if you know possums, but they look like a huge hairy rat on its worst day. But this baby possum is kinda cute. He’s giving us a sharp-toothed little grin. It’s a I’ll-rip-your-hand off kind of grin. 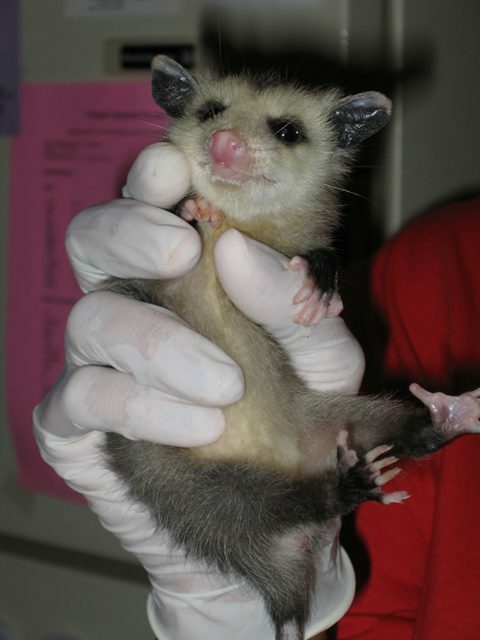 That mouth full of sharp teeth is your first clue that possums just want to be left alone. If your dog chases after one, the possum might play dead. Then it’ll get up and waddle off when you’re not looking. 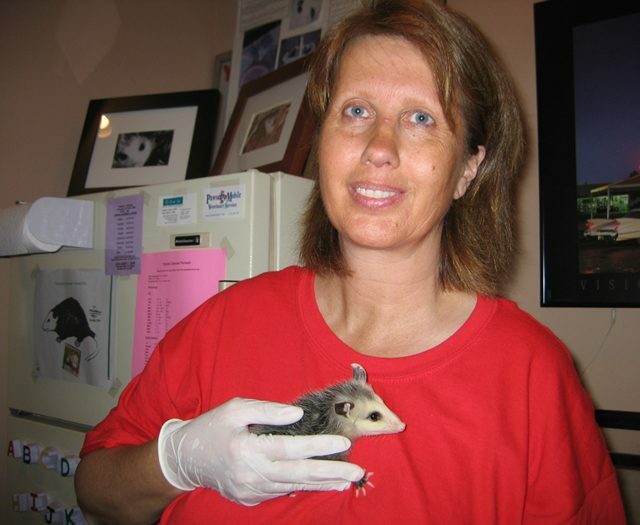 Patti Roman takes care of the possums until they’re a few months old. Then she takes them into the woods and lets them go. She says wildlife is always better off in the wild. But she says she does get criticized for interfering with nature. But some scientists debate that. Jim Harding is a wildlife specialist at Michigan State University. Harding says rehabbing some types of common animals can actually make things worse. For example – he says there are so many raccoons that they can wipe out a lot of birds because they eat their eggs. But Patti Roman says she really feels like she’s doing the right thing. She spent 18 years at the Humane Society rescuing dogs and cats. But she never knew for sure those animals would be placed in good homes. She says when she lets the possums go they don’t look back. They just take off into the woods. And even if that little possum ends up getting eaten by a fox, Roman says that’s okay, because at least that’s natural.